crashlanded 300 metres west of this point. John Quinn from Antrim was able to determine the name of the pilot during his 1992 research and he includes a chapter on the crash, research and the ceremony in his book, Down in a Free State. At that time, the remaining crew members names were not fully confirmed. 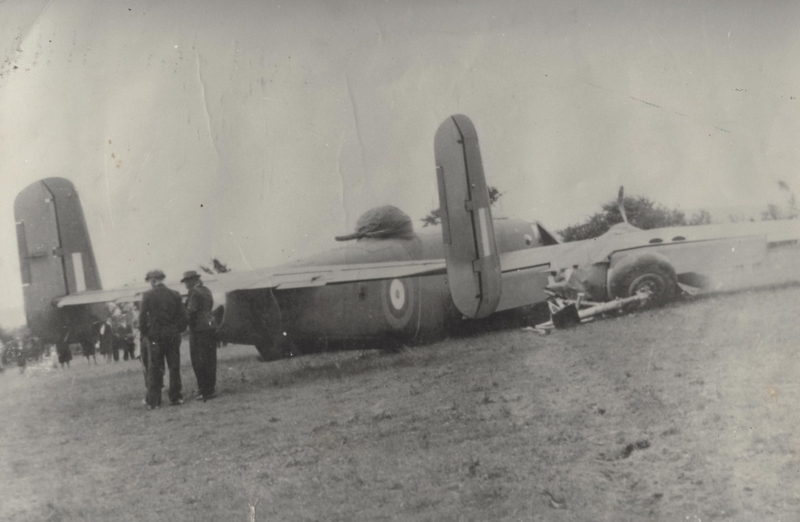 The following photo of Mitchell FL214 was kindly provided by Roscommon County Museum. One can see the damage described in the Irish Army report. It was from correspondence with the Directorate of History and Heritage in Canada that the names of the men began to become clearer. Paul Lowman was contacted in 1992 by the locals of Four Mile House and John Quinn. At that time Paul was able to reveal that his wartime career began with his traveling to England in the winter of 1940/1941 where he joined the ranks of the Air Transport Auxiliary, the ATA. This organisation was used to ferry aircraft around the United Kingdom from factories to RAF depots and airfields and spared trained RAF service pilots for front line duty. His name appears on the passenger list of the ship, HMT Leopoldville docking in Liverpool around the 11th of January. The newspaper in the town he came from, the Warsaw Daily Union, eagerly reported on his activities overseas at this time. Paul Lowman was well known in his local area before the war and indeed all over America. 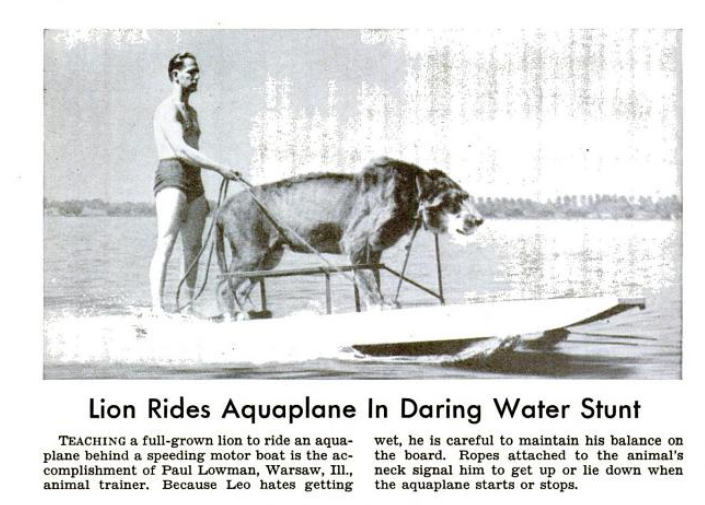 In 1938 his name appeared in publications all over the country following his teaching of a Lion to use a hydrofoil! It's best to let this extract from the magazine Popular Science explain! 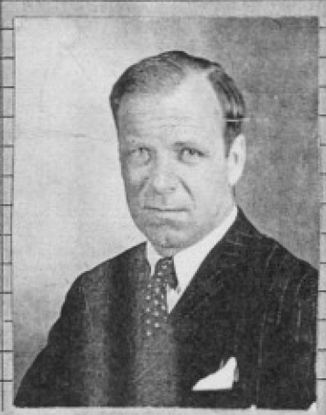 Leif Kaare Pay had a varied career prewar. He is mentioned in mid 1930's Singapore newspapers as being an aviator and had constructed an airstrip on his Ulu Bernam estate. In March 1939, he and a colleague took off from Kuala Lumpur en route to Copenhagen. This was reported in The Straits Times newspaper of Singapore. he was flying his own DH Hornet Moth aircraft and they planned to fly via Siam (Thailand), Burma, India, Turkey, Germany and thence to Denmark. Their arrival in Copenhagen was announced in the same newspaper on 14 May 1939. Mr Pay was no stranger to long distance flying. These articles can be found on the newspapers.nl.sg website. His Ferry Command/Transport Command record card shows his crewing up on at least 25 deliveries of Liberator, Mitchell, Catalina and a mix of other types. He was First Officer on these flights between 1942 and 1945. He delivered many of the Liberators to the Middle East and to the Far East. After his landing in Ireland, he was returned very quickly to Canada by the Return Ferry Service. This used Liberator bombers as transports to return selected ferry crews back across the Atlantic. He made two further flights that month, taking another B-25, FL696, from Houston to UK although the card is a little unclear. It is not known what became of L K Pay after the war but some evidence shows that he returned to Denmark and may have continued flying. Danish aviation historian, Mikkel Plannthin has a page about Mr. Pay on his website commemorating Danish aviation during the Second World War. 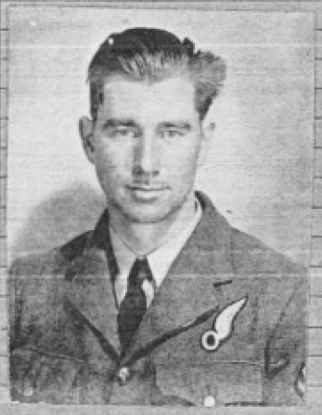 Flight Sergeant Roderick James MacGregor R105529 was born in 1916 in Barrhead, Alberta. He was married during his time with Ferry Command, Transport Command. The flight with Mitchell FL214 appears to have been his first trans-atlantic flight and he was back in North America on July 27th, sailing into New York. His subsequent wartime career would see him deliver a good number of aircraft to South Africa and the Middle East, with one flight to India for good measure. Roderick trained at 2 Air Navigation School during 1941 and 1942. He was later commissioned in May 1943 as an officer in the RCAF, gaining the new service number CAN/J35953 and in 1946 was transferred to the reserve of the Air Force. 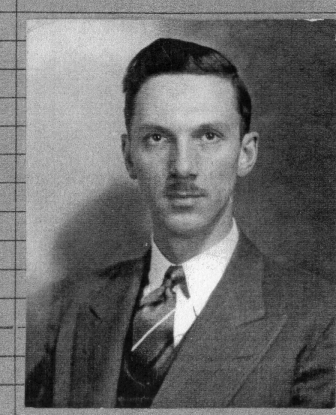 Information from Canadian historian Hugh Haliday indicates that in July 1944 he was posted to the United Kingdom and as such may have served with an active service unit from there, perhaps as navigator on bombers, patrol aircraft or transports. 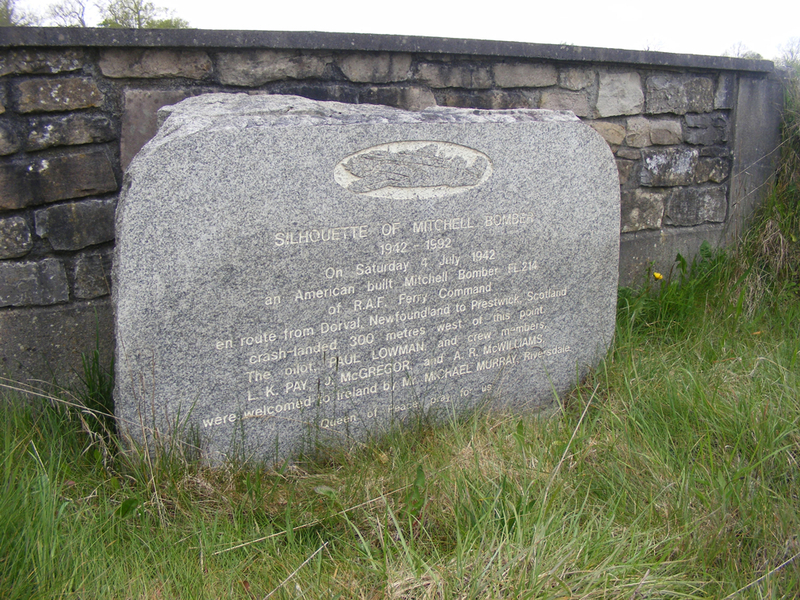 Arthur Reginald MacWilliams was 25 at the time of the landing in Roscommon. He passed away in February 1973 in Halifax, Nova Scotia aged 56. He came originally from Prince Edward Island, one of the provinces of Canada. Arthur was a civilian contractor with the ferry operation. It was possible to trace Arthur using shipping records during the war, on at least two occasions he arrived in New York from Gourock in Scotland. He was a radio operator and some of these operators had been members of the telegraph service before the war, volunteering to act as the vital radio operator on the dangerous transatlantic ferry routes. 1. 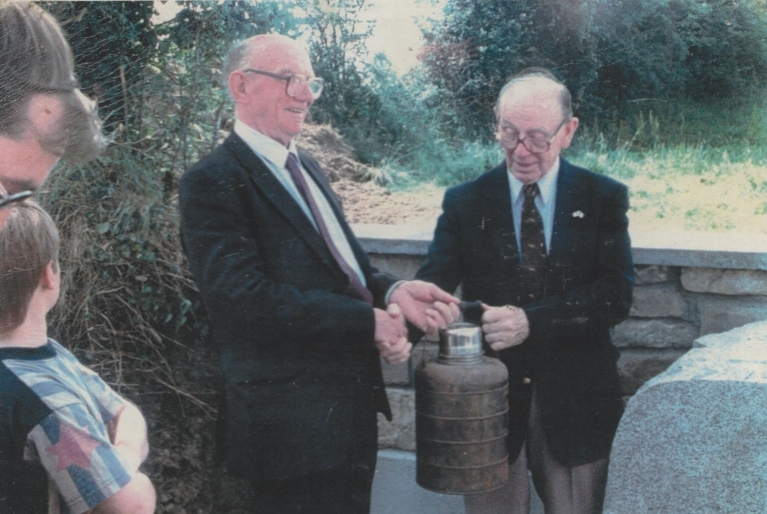 Photograph of Michael Murray, left, and pilot Paul Lowman at the 1992 commemoration with the Stanley Thermal Jug from FL214. 3. 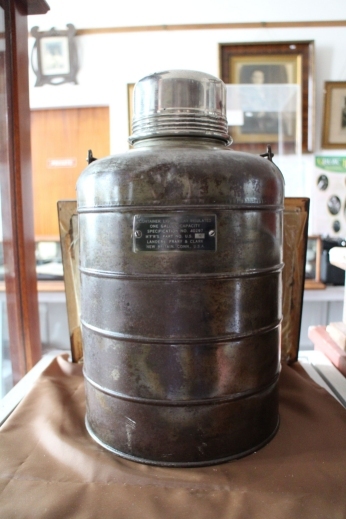 Photograph of a "Stanley Thermal Jug" flask from the Mitchell Bomber which is on display in the museum. This was a item delivered on long rang aircraft as a means of providing hot beverages for crews. The jug was a 1 gallon capacity and was manufactured by Landers, Frary & Clark, of New Britain, Connecticut.